Djibouti is located on the north-east coast of Africa, with the Red Sea to the east, Eritrea to the north, and bordered by Ethiopia to the south and west, and by Somalia to the south-east. Law no 50/AN/09/6th L was enacted in 2009 and was due to come into force six months after publication in the Official Journal. Publication occurred on 25 May 2011 so that the Law has, in theory, become effective on 25 November 2011. However, the Law has as yet not been implemented. Djibouti is a member of the Paris Convention and the WTO/TRIPS. There is provision (under French legislation previously promulgated in Djibouti and in force since independence in 1977), for the registration of trade marks in respect of goods and services. There is also provision for the registration of collective marks. Note: On 23 June 2016, the Minister Delegate to the Ministry of Economy and Finance, Hassan Houmed Ibrahim deposited Djibouti’s instrument of accession to the PCT with WIPO. The Treaty will enter into force in Djibouti on 23 September 2016. With the accession of Djibouti, the PCT has reached the milestone of 150 member states. Likewise, although the Industrial Property Office was to be established by the above Decree, it is not clear whether the office is fully operational as yet. Accordingly, it is not clear whether patent protection can be obtained at this time. As indicated above, at the time of writing it was not clear whether the 2009 Law, which will introduce patent protection to Djibouti, had become fully effective. The previous IP legislation in Djibouti only made provision for the filing of trade marks, designs and models. Furthermore, although the Djibouti Industrial Property Office has been established by law, it has apparently not yet become fully operational, so that a formal procedure for obtaining patent protection was not available at the time of writing. 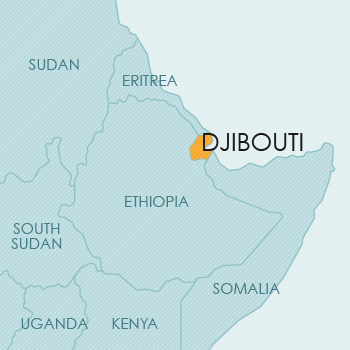 Djibouti is a member of the Paris Convention and the WTO/TRIPS. Design protection is available by way of a national filing. Djibouti is a member of the Berne Convention and the WTO/TRIPS so that copyright works are expected to be protected. collections of works and of expressions of folklore. Currently, no legislative provision for plant breeders’ rights or other sui generis protection for plants is available in Djibouti.